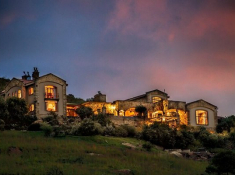 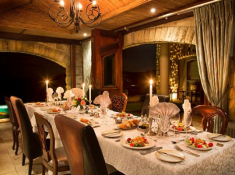 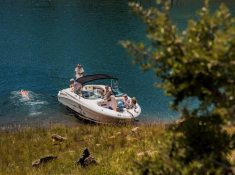 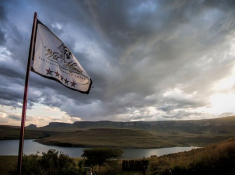 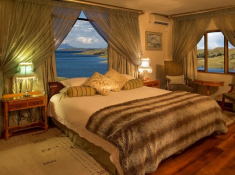 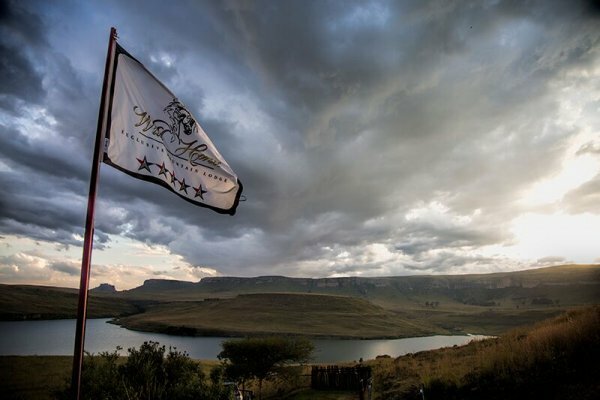 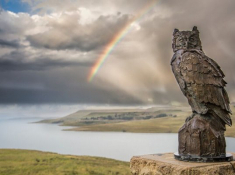 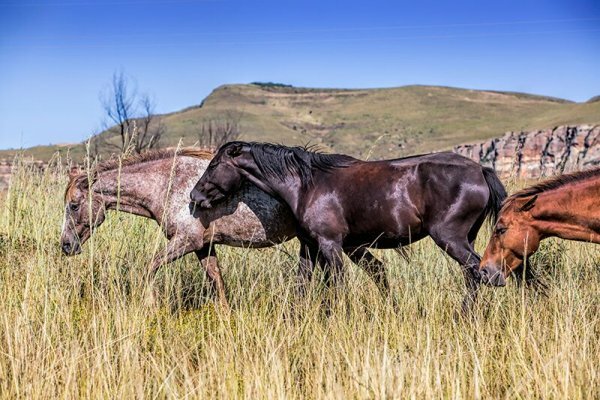 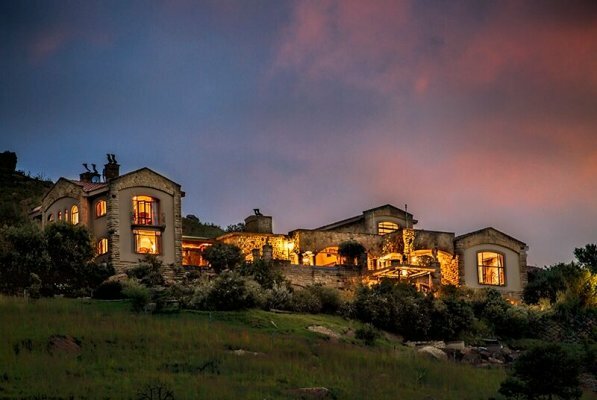 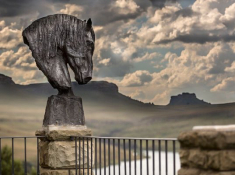 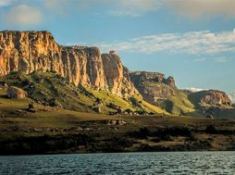 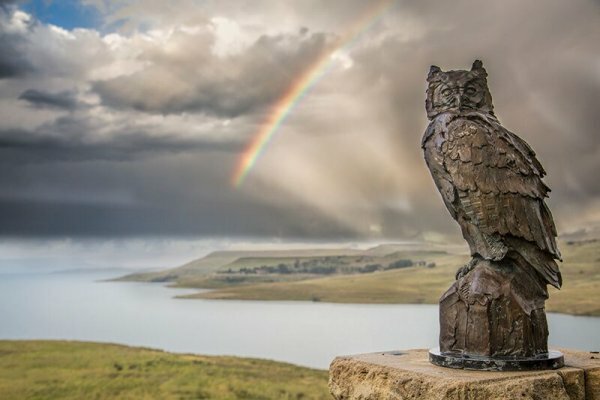 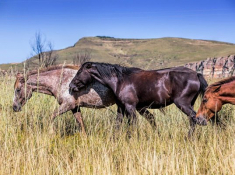 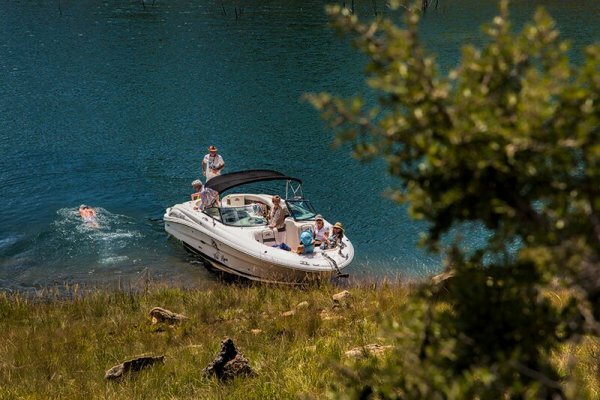 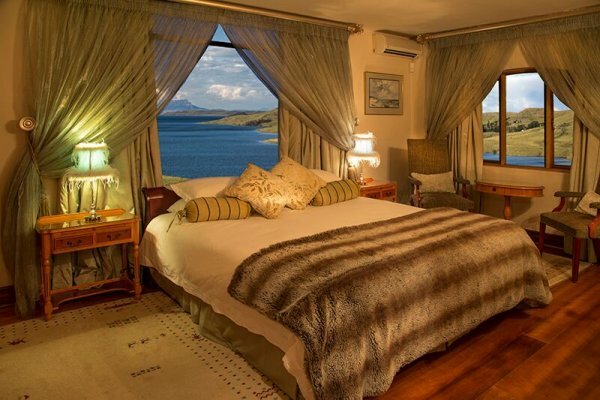 Wild Horses Exclusive Mountain Lodge is an alluring hideaway in the scenic Drakensberg, situated within the Free State’s Sterkfontein Nature Reserve. 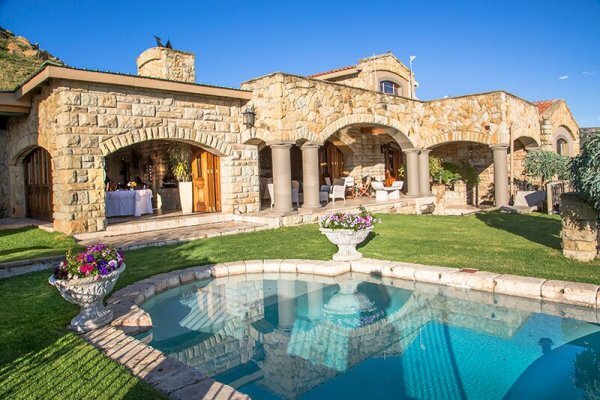 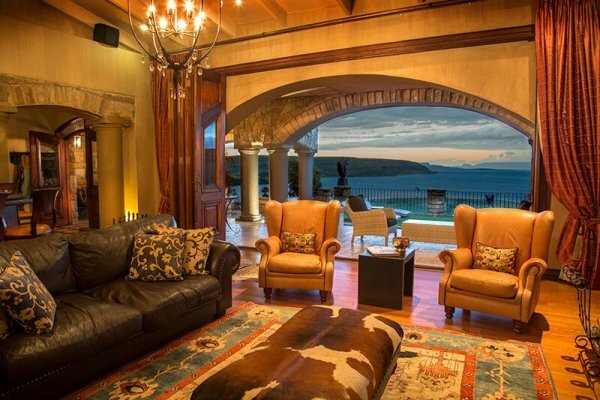 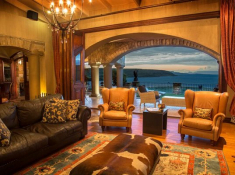 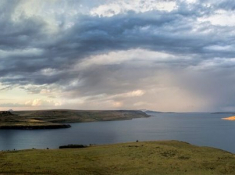 The luxury sandstone villa has a majestic location overlooking the mirrored waters of Sterkfontein Dam and the Platberg Mountains. 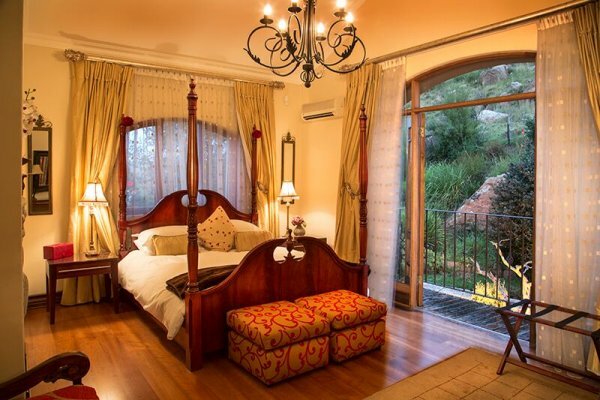 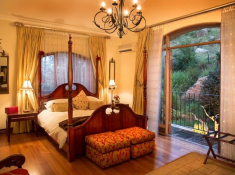 Guest rooms are luxurious and well equipped, and all have serene nature views. 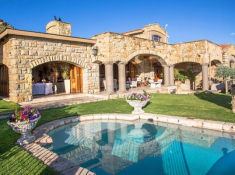 A landscaped indigenous garden, rim-flow pool, Koi pond, rose garden and terrace invite tranquil outdoor leisure with panoramic views. 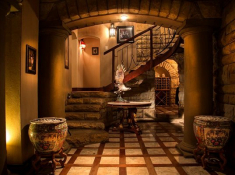 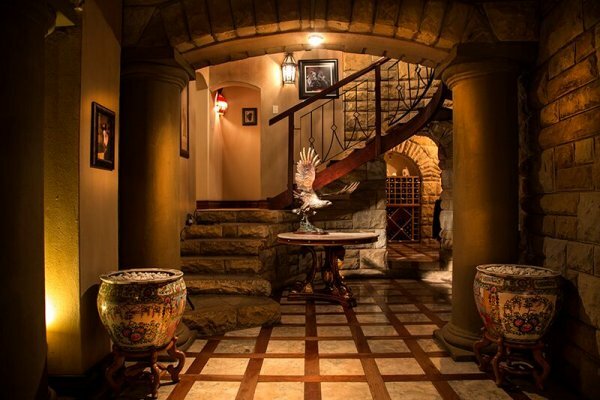 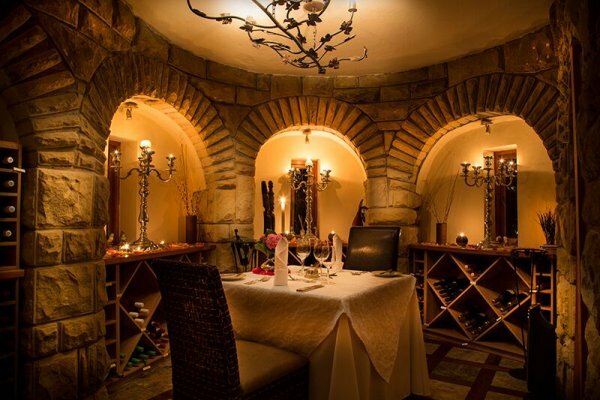 Indoors there is a guest lounge, private library, wine cellar, and dining area where gourmet meals are enjoyed. 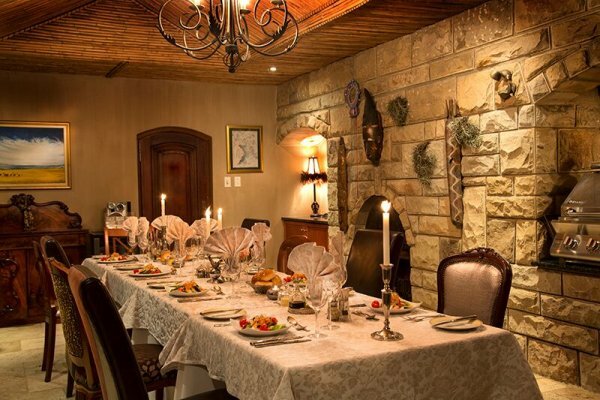 The lodge is situated 30 km from Harrismith, midway between Johannesburg and Durban. 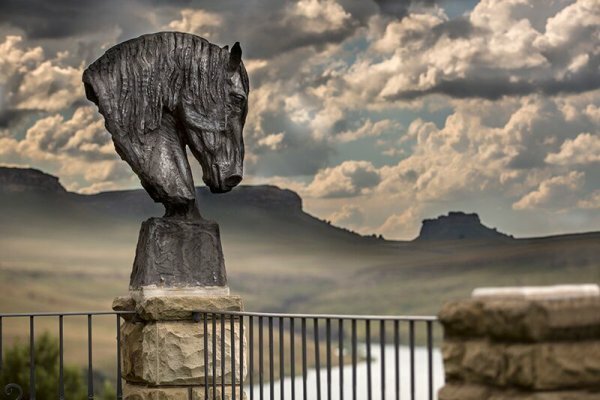 There's currently no specials at Wild Horses Exclusive Mountain Lodge. 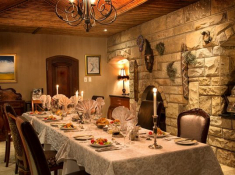 Please ask us about conference facilities in the area. 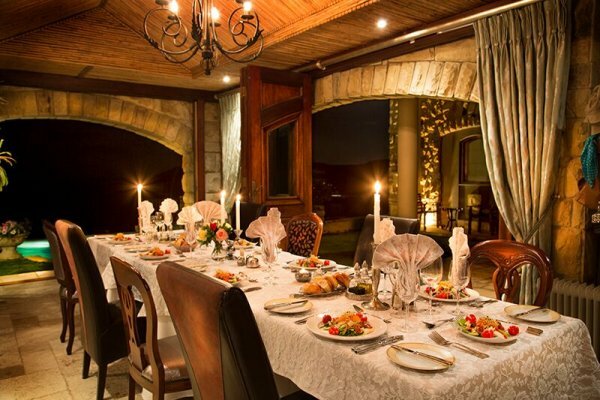 Weddings and special events can be hosted for up to 30 guests.